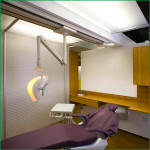 To start with, Santa Monica dentist Dr. Brightleaf practices a holistic approach to dentistry that takes into account a number of factors: Your overall health, your oral health, the latest developments in traditional dentistry, and the most current information on scientifically substantiated natural health and dental practices. Dr. Brightleaf’s background is firmly grounded in science. She graduated from the University of North Carolina with a double major in Math and Chemistry. When she ultimately decided to become a dentist, she started dental school at Emory University where she was ranked #1 in her class. After two years she transferred to the University of Florida dental school where she graduated ahead of schedule and in the top 5% of her class. Life did not flow from undergraduate school right to dental school, however. During Dr. Brightleaf’s undergrad years, she had become interested in natural health and healing and had become a presenter for the innovative MD, John McCamy. He had developed a health program involving nutrition, ecological awareness, exercise and stress reduction that impressed her. To this day she follows much of what he taught, including eating a healthful natural, largely vegetarian diet and leading a lifestyle that is compatible with her beliefs about natural and whole body health. With this background, Dr. Brightleaf became a nutritional counselor in a dental office where she discovered that she loved dentistry. In particular she appreciated its focus on prevention and health. It satisfied a deep desire to support and assist people in gaining better health, and it also allowed expression of my own artistic talents. Since graduation from dental school Dr. Brightleaf has maintained successful dental practices in central and northern Florida, and then established a new dental practice in Santa Monica, California in 2002. After earning acceptance as a Fellow in the Academy of General Dentistry in 1988, she then continued a lifelong learning experience and received the Mastership in the Academy of General Dentistry in 2011. The AGD is a professional organization requiring extensive continuing education study and testing for general dentists dedicated to staying up to date in the latest dental advances to better serve the public. The Mastership award is the highest honor available at the AGD and one of the most respected designations within the profession. To accomplish this goal, the requirement is 1100 hours of approved continuing dental education, Dr. Brightleaf has over 2000 hours. In order to provide the level of care to patients that Dr. Brightleaf would want for herself, she is continually evaluating and upgrading her knowledge and skills. After spending 25 years studying and applying a highly respected system of occlusion (how the teeth fit together) Dr. Brightleaf recognized that she was not wholly pleased with some of her patients’ healing. She went on a search for other methods and discovered the science of Neuromuscular Dentistry. In the summer of 2010 she completed the highly-regarded LVI Institute’s Core Series where comprehensive aesthetic treatment for the dental patient is taught. She then passed an extensive examination covering all the core course material and received the Fellowship award in the Las Vegas Institute. From there she went on to study Gneuromuscular Dentistry which takes the delivery of the “right bite“ to whole new level of precision. Having now completed Levels 1 through 7 In Dr. Clayton Chan’s core series, Dr. Brightleaf goal of assisting her patients on their path to whole body optimal health has become a reality. 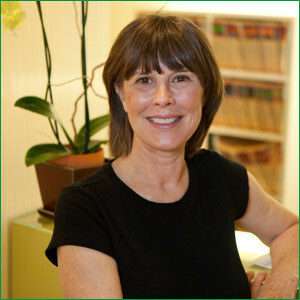 Dr. Brightleaf values education in her personal life as well as in her professional life and she continues to learn, whether it is learning to dance the tango or new dental treatments and techniques. Cosmetic and Neuromuscular Dentistry, combined with biocompatible materials, integrate into the truly holistic system of dentistry Dr. Brightleaf practices, and is proving to be profoundly effective in addressing some of the issues that had been puzzling her and her colleges over the years. She has been particularly effective in correcting TMJ problems, addressing periodontal disease, alleviating jaw pain and jaw popping, headache relief including migraine symptoms and a number of other symptoms not immediately associated with dental issues. With Gneuromuscular and her unusually broad scope of health resources, Dr. Brightleaf is finding that she is providing even greater levels of relief and true healing to her patients. In addition to cosmetic and holistic dentistry, Dr. Brightleaf pursues meditation and spiritual studies. For over 20 years she has enjoyed spending relaxing time with horses. She used to ride and she participated in the sport of eventing. 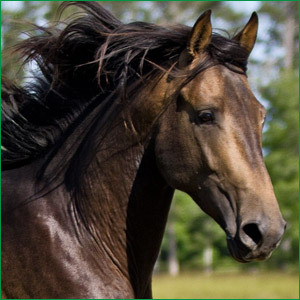 However, having gained greater awareness of the horse’s point of view, she no longer rides but has a relationship with her four-year-old half Lusitano in which he chooses what they do together. This includes running, walking, and bucking in the hills of Topanga – while she tries to keep up with him on foot. This is how Dr. Brightleaf gets her exercise and remains able to meet the demands of a thriving dental practice!